Delhi Lt Governor Najeeb Jung. A day after the Delhi High Court ruled that the Lieutenant Governor is the administrative head of the National Capital Territory while giving a setback to the Arvind Kejriwal led-AAP government; the Janata Dal United on Friday raised its concern over the ruling, stating that the post of Governor has recently become questionable. Justifying his assertion while narrating series of incidents that happened in Uttarakhand and Arunachal Pradesh, JD (U) leader Neeraj Kumar told ANI that the Centre has been trying its best to usurp the power of elected states through the gubernatorial post. “The post of Governor has become debatable in recent years. If we see lot of incidents related to Uttarakhand and the north eastern states, the Centre has been tightening its screws on the elected governments. The same can be observed in Delhi as well where powers conferred upon Kejriwal is being usurped by the Centre,” he said. He added that there is an urgent need to re-examine the federal structure. The Court, on Thursday, dismissed a set of petitions on the legal tussle with the Centre over control of administrative issues and distribution of power in the national capital. 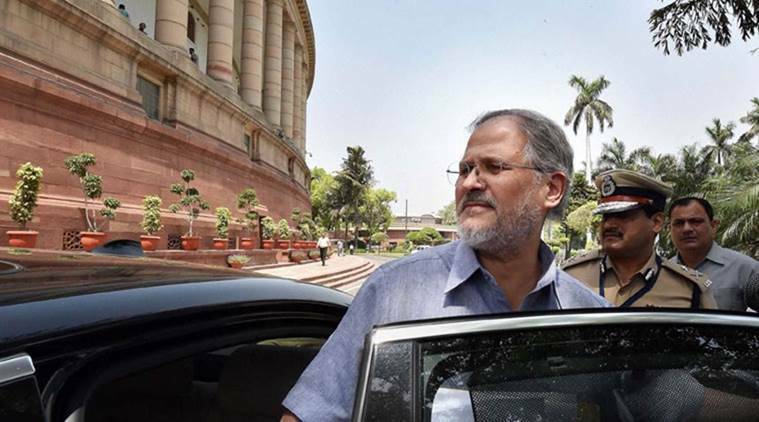 A set of 11 petitions were filed by the Delhi Government challenging various decisions of the Lieutenant Governor Najeeb Jung, and the interpretation of Article 239 AA of the Constitution. Pronouncing the verdict, the high court said that the Lieutenant Governor is not bound to act as per the advice of the Delhi cabinet. Chief Minister Arvind Kejriwal-led Government has been alleging that their government has been unable to function as most of its decisions were either annulled or changed by the Centre at the behest of the Lieutenant Governor on the ground that Delhi is not a complete state.